This is Carol, Roger's wife. As reported here in recent days, Legal Schnauzer publisher Roger Shuler made the list of jailed journalists compiled by the Committee to Protect Journalists. Per the CPJ's article, "CPJ’s list is a snapshot of those incarcerated at 12:01 a.m. on December 1, 2013. It does not include the many journalists imprisoned and released throughout the year; accounts of those cases can be found at www.cpj.org. Journalists remain on CPJ’s list until the organization determines with reasonable certainty that they have been released or have died in custody." Here is a link to the CPJ list: CPJ 2013 Prison Census. In a census that is normally about jailed journalists in oppressive countries such as Turkey, Iran and China, the unlawful detention of American journalist Roger Shuler in the U.S. is truly a disgrace to our country and shows just have far we have sunk as a nation. Imprisoned for speaking out about corruption in America and Alabama at the highest levels, Shuler is making worldwide news in a variety of media venues because it is so uncommon for an American to make this list. Per the CPJ, Shuler is the only journalist unlawfully jailed in the Americas on a list of 211 journalists from around the globe. "Only one journalist was behind bars in the Americas as a direct result of their work. 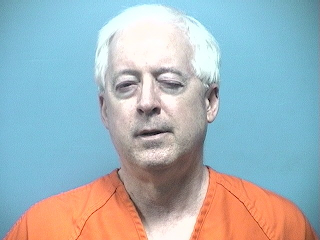 Roger Shuler, an independent blogger who writes about alleged Republican corruption in Alabama, was being held on contempt of court for refusing to comply with an injunction regarding content ruled defamatory, the CPJ said. In recent years, journalist jailings in the Americas have become increasingly rare, with one Cuban documented in prison in 2012 and none throughout the region in 2011." Here is the link to the Al Jazeera America article: Turkey Again Jails Most Journalists, Annual Index Finds. Roger Shuler Named on AlterNet's "10 Most Appalling Failures of the American Justice System This Year"
This is Carol, Roger's wife. As reported here in recent days, Legal Schnauzer publisher Roger Shuler made the list of jailed journalists compiled by the Committee to Protect Journalists each December. Per the CPJ's article, "CPJ’s list is a snapshot of those incarcerated at 12:01 a.m. on December 1, 2013. It does not include the many journalists imprisoned and released throughout the year; accounts of those cases can be found at www.cpj.org. Journalists remain on CPJ’s list until the organization determines with reasonable certainty that they have been released or have died in custody." Here is a link to the CPJ list: CPJ 2013 Prison Census. In another important news development, Roger Shuler's first amendment case was cited in an article featured on the AlterNet website Dec. 25. The article was written by Nicole Flatow of ThinkProgress. Here is a link to the AlterNet article: 10 Most Appalling Failures of the American Justice System This Year. In her AlterNet article Ms. Flatow writes, "Every year, stories emerge that serve as a reminder that the American system of justice means injustice for too many, with some receiving little or no punishment for egregious offenses, while others receive harsh or faulty punishment for much less. Here are some of the worst injustices of 2013." Blogger Roger Shuler drew the ire of the powers that be when he continued to write about the alleged extramarital affair of a prominent lawyer rumored to be running for Congress. The lawyer and son of former Alabama governor Bob Riley, Robert Riley, Jr., won a temporary restraining order that prohibited Shuler from writing anything about Riley’s alleged extramarital affair and other related stories. The order itself was almost certainly a violation of First Amendment law. But Alabama officials took the dispute a step further when they pursued him for a traffic stop and arrested him for contempt. In spite of advocacy from the ACLU and others, Shuler has now been in a jail cell for two months for his journalism." According to AlterNet website,"Nicole Flatow is the Deputy Editor of ThinkProgress Justice. Previously, she was Associate Director of Communications for the American Constitution Society. Nicole has also worked for several legal and general circulation newspapers, including The Daily Record and The New York Law Journal, and was a legal fellow at Bread for the City, where she represented low-income D.C. residents in housing and public benefits matters. She received her J.D. from the University of Virginia School of Law, and her B.A. in Philosophy, Politics and Law from Binghamton University, where she was editor in chief of her campus newspaper." What Does Shelby County, Alabama, Have in Common with Turkey, Iran and China? This is Carol, Roger's wife. So just what does Shelby County, Alabama, have in common with Turkey, Iran and China? Answer: It shares the dubious distinction of being a location cited by the Committee to Protect Journalists--an independent, nonprofit organization that promotes press freedom worldwide--in their 2013 Census of Jail Journalists. Here is a link to the CPJ list: CPJ 2013 Prison Census. Legal Schnauzer publisher Roger Shuler was named on the list which is published by the CPJ each December. According to the CPJ's article, "CPJ’s list is a snapshot of those incarcerated at 12:01 a.m. on December 1, 2013. It does not include the many journalists imprisoned and released throughout the year; accounts of those cases can be found at www.cpj.org. Journalists remain on CPJ’s list until the organization determines with reasonable certainty that they have been released or have died in custody." In a census that is normally about jailed journalists in oppressive countries such as Turkey, Iran and China, the unlawful detention of Roger Shuler in the United States is truly a disgrace and shows just have far we have sunk as a nation. Shuler has made the list as an American journalist having been imprisoned for speaking out about corruption in America and Alabama at the highest levels. This is making worldwide news in a variety of media venues because it is very uncommon for an American to make this list. According to a CPJ special report by Elana Beiser, "Turkey, Iran, and China accounted for more than half of all journalists imprisoned around the world in 2013, the Committee to Protect Journalists has found." Here is the link to Ms. Beiser's article: Second Worst Year on Record for Jailed Journalists. "The single journalist behind bars in the Americas was in the United States. Roger Shuler, an independent blogger specializing in allegations of corruption and scandal in Republican circles in Alabama, was being held on contempt of court for refusing to comply with an injunction regarding content ruled defamatory. In recent years, journalist jailings in the Americas have become increasingly rare, with one Cuban documented in prison in 2012 and none throughout the region in 2011." Alabama attorney and whistleblower in the Don Siegelman case Jill Simpson wrote an article on Dec. 23 for OpEd News about Roger Shuler making the CPJ list of jailed journalists. "Roger has been a key documenter of corruption in the United States since he took on the Don Siegelman story in 2007 and he has never let up. Roger has recently vowed from his jail cell that he will not retract the statements he has made about Rob Riley, son of recent former Governor Bob Riley. So what we are left with in America is a journalist indefinitely incarcerated by a specially appointed retired judge not duly elected to decide this case who was appointed by Alabama Chief Justice Roy Moore known famously as the "10 Commandments" judge who was removed from the bench due to his mixture of church and state but re-elected by popular vote." "What concerns me about Roger Shuler's case is how they are indefinitely holding him. Clearly, if they want to punish Roger they should give him a sentence but instead it appears that in America these days we can now hold people for any amount of time if they do not do as the court wishes. So Roger sits in a jail cell in Shelby County Alabama with no knowledge of when he is to get out. Journalists all over the world are beginning to pick up his story as it appears this is the first time we have seen a journalist in the United States be treated like a Guantanamo Bay alleged terrorist. It is very Kafka-esque because we have a specially appointed non-elected judge, a secret hearing and sealed records." Here is the link to Ms. Simpson's OpEd News article: Let Roger Shuler Go Before Christmas -- The Only Journalist Held Indefinitely in the U.S. This is Carol, Roger's wife. Legal Schnauzer publisher Roger Shuler has made the list of jailed journalists this Christmas. This list is compiled by the Committee to Protect Journalists each December. According to the CPJ's article, "CPJ’s list is a snapshot of those incarcerated at 12:01 a.m. on December 1, 2013. It does not include the many journalists imprisoned and released throughout the year; accounts of those cases can be found at www.cpj.org. Journalists remain on CPJ’s list until the organization determines with reasonable certainty that they have been released or have died in custody." In a census that is normally about jailed journalists in oppressive countries such as Turkey, Iran, China and Vietnam, the unlawful detention of Roger Shuler in the United States is truly mindblowing and shows just have far we have sunk as a nation. Shuler has made the list as an American journalist having been imprisoned for speaking out about corruption in America and Alabama at the highest levels. All because he exercised his free speech rights in America against the Riley and Rove Dynasty in Alabama. This is worldwide news because it is very uncommon for an American to make this list. According to a CPJ special report by Elana Beiser, "Turkey, Iran, and China accounted for more than half of all journalists imprisoned around the world in 2013, the Committee to Protect Journalists has found. In its annual census, CPJ identified 211 journalists jailed for their work, the second worst year on record after 2012, when 232 journalists were behind bars." "This recent report from the Committee to Protect Journalists is the most damning information yet about Alabama Republican political figure Rob Riley and corrupt Circuit Judge Claud Neilson who have ramrodded this case against me and it’s the reason I’m in jail and basically I’m in prison. This is really a high security prison here in Shelby County, Alabama, so we might as well not even call it a jail. But aside from that, this story outlines journalists who are incarcerated around the world and I’m told that there’s one of them in the United States and that’s me right here in Alabama and that should sicken and I repeat—sicken--everybody in this state and everybody who cares about any of the states in the United States that there’s a journalist in this country in prison for writing an article that’s a totally civil matter. And there’s law going back to 1780 that predates the Lewis and Clark expedition that says that this cannot be done. And the thing that dumbfounds me maybe most of all is that there have been no journalists even though my story has received quite a bit of coverage and I appreciate it and I also appreciate the calls and support from readers, but nobody has called apparently Rob Riley or Judge Neilson and grilled them about their unlawful actions. My understanding is that a reporter from Channel 42 had tried to contact them, but they would not take questions, they only issued statements which is typical because they can’t answer questions. I beg people to pay attention and make sure that these people are grilled. They’re taking public taxpayer dollars to abuse the courts and have me unlawfully in jail for two months. This an absolute disgrace. From what I understand the other journalists are in places like Iran, Syria and Libya and basically third world countries for the most part. And we’re here in Alabama with a journalist sitting in jail for two months and I’m about to miss Christmas with my family so Rob Riley can play little con games with our court system. And I appreciate the opportunity to speak to our readers. Obviously I’m not happy, but I am pleased that this committee has recognized what I’m going through and has brought attention to it." Per the CPJ website, "Elana Beiser is editorial director of the Committee to Protect Journalists. She previously worked as an editor for Dow Jones Newswires and The Wall Street Journal in New York, London, Brussels, Singapore, and Hong Kong." Here is a link to the CPJ list: CPJ 2013 Prison Census. Per the CPJ website, "The Committee to Protect Journalists is an independent, nonprofit organization that promotes press freedom worldwide." This is Carol, Roger's wife. Today marks two months that Legal Schnauzer publisher Roger Shuler has been housed in the Shelby County Jail because of a lawsuit filed by Republican political figure Rob Riley seeking removal of certain posts related to lobbyist Liberty Duke. Shuler points to the case as one of the worst first amendment abuses in modern American history. "As Americans celebrate Christmas, I hope they will take a moment to realize their constitutional protections are rotting out from underneath them," Shuler said. "The prior restraint doctrine that grows from the first amendment and is supposed to protect my reporting in this case dates to 1780, and that predates the Lewis and Clark expedition. If our judiciary is so corrupt that it can't get simple constitutional law like this correct, then we are about to become more like Communist China that any of us care to admit." Shuler points blame for the case squarely at Riley and retired Marengo County Circuit Judge Claud Neilson who was specially appointed by the Alabama Supreme Court to hear the case. "The law is clear for some 230 years that there can be no restraint on publication without a final judgment that the reports are false and defamatory," Shuler said. "In this case there's been no discovery, I've not even been allowed to make an answer to the complaint and there's certainly been no jury or bench verdict on the matter. We have a Yale educated lawyer in Rob Riley who's seeking unlawful sanctions in this case and we have a veteran Alabama judge in Neilson who is granting them. That amounts to all kinds of civil and criminal actions on their part including false imprisonment, obstruction of justice, and deprivation of rights under color of law." Shuler said Americans should be particularly alarmed that the case amounts to state-sanctioned censorship. That issue was raised in a 1931 case styled Near v. Minnesota that Legal Schnauzer reported on just prior to Shuler's arrest. "The Near case clearly states that prior restraint involves a restriction on publication prior to a final court judgment that the reporting is false and defamatory. That's exactly what has happened here even though Near is the premium case on the subject in the 20th century. It's dumbfounding that I have been held in jail for two solid months over an issue contrary to law that is black-letter in nature and could not be more clear." Shuler added that the best known and recent prior restraint case was called the Dietz case out of Virginia. "In the Dietz case, a woman was unhappy with the work of a contractor in a remodeling job and she expressed her displeasure in an online forum. The contractor sought to have her comments removed from the forums, but a Virginia court found that violated the prior restraint doctrine and said that it could not be done. So even though that case is a 2011 case, it's very clear what the law is and that's exactly what Rob Riley has tried to do is force me to remove reporting without a finding that it's false and defamatory and it's clearly unlawful." Shuler said state-sanctioned censorship runs counter to most all the constitutional rights that Americans hold dear. "I hope that Americans during this holiday season will take time to ask do they really want the government censoring reporting in what's supposed to be a free press." Shuler said "That's why I've fought this case so hard because it goes at the basic notion of a free press and it tries to bring censorship into the state of Alabama." This is Carol, Roger's wife. 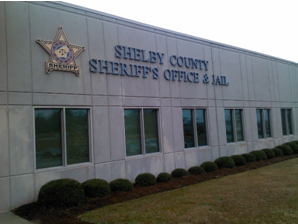 Shelby County Sheriff's officials investigated cases of inmate theft as recently as Oct. 28 according to an inmate statement. An inmate was on lockup from Oct. 15 to Oct. 28 according to a statement to Legal Schnauzer publisher Roger Shuler and said that he saw at least three inmates at that time in lockup for stealing PIN numbers. "I did not get to the jail until Oct. 23," Shuler said. "And this new information indicates the Shelby County Jail has changed it's policy probably since I've been here and perhaps just for me. This is extremely disturbing information and indicates that perhaps officials in the Shelby County Jail or Sheriff's Office are involved in stealing from me. I've had $99 stolen from my inmate account and I've had no indication that any investigation is going to be done on it." Shuler noted that the 14th Amendment right to equal protection under the law applies to inmates and all citizens and he has not forfeited them since his arrest in the wake of a lawsuit by Republican political figure, Rob Riley. "If the Shelby County Sheriff's Office is not going to investigate this, we're going to have to take it to a higher authority. Any misconduct involving phone lines is usually a federal matter anyway," Shuler said. "I hope the public knows the kind of damages I'm suffering having been in this jail unlawfully now for two months. I've witnessed an inmate suicide. I've witnessed another inmate who was apprehended for having a shank which is an item designed to stab people. And now I've been the victim of a theft and the authorities are doing nothing about it." This is Carol, Roger's wife. An administrator at the Shelby County Jail has indicated there will be no investigation of a theft against Legal Schnauzer publisher Roger Shuler. Shuler has noted at least $99 missing from his inmate account and reported it to jail officials, but has been told that it will not be investigated as a crime. Shuler received the following message from jail administrator Theresa Smith who oversees inmate accounts. Smith's message read as follows: "It is your responsibility to keep your PIN number secure. We are unable to credit phone time at this facility. Only NCIC can give credits and they will not do so for charges incurred from someone stealing your PIN number. I was informed by Sargent Thompson that your PIN number has already been reset to prevent future unauthorized usage." Shuler was dumbfounded by Smith's response. "Basically she's blaming me for theft and under that version of the law, no one ever would be held accountable for stealing. I'm going to seek further clarification from jail officials and move forward and quickly, but I'm not going to let this rest. I've had money stolen from me and I intend to have it prosecuted as a crime." Shuler said he is not certain that the theft was done by an inmate. "If the Shelby County Sheriff's Department is not going to investigate this kind of matter, it makes me think it's possible they're the ones responsible for the theft," Shuler said. "Inmates could possibly steal my PIN number, but people inside the Shelby County Sheriff's Office also have access to it. And the fact they aren't willing to investigate this makes me think they may be responsible. That raises huge questions, federal issues and all sorts of issues about corruption that the public needs to be aware of and I'm making them aware of it." This is Carol, Roger's wife. Legal Schnauzer publisher Roger Shuler has been the victim of a theft while being unlawfully incarcerated in the Shelby County Jail because of a lawsuit filed by Republican political figure Rob Riley. Shuler noticed funds missing from his inmate account about 10 days ago and filed a grievance with the Shelby County Jail. Shuler received a copy of his account which showed some $99 in unauthorized charges. "I had a meeting with a Sargent Thompson," Shuler said, "and he stated that it appeared that an inmate had stolen my PIN number and charged unauthorized phone calls to my account in exchange for food items. I received no further word from Sargent Thompson and I don't know if this case is going to be investigated as as the crime that it is." Shuler has been incarcerated in the Shelby County Jail since Oct. 23 after Riley filed a lawsuit seeking removal of certain posts. Some 230 years of first amendment law in the United States says that it's unlawful to restrict publication prior to a final judgement that the report is false and defamatory. There has been no such finding in the Riley lawsuit and in fact has not even been any discovery and yet Shuler has been in jail for almost two full months. "Because of Rob Riley's lawsuit, I've had to encounter all sorts of dangerous events," Shuler said. "Just last week I witnessed an inmate's suicide here in my unit. A man jumped some 27 feet from the top two stories above us and landed on concrete about 10 feet from where I was sitting. The sound of his skull cracking and blood pouring out of his head is something that I'll never forget and other inmates will not soon forget either. And had I been about 10 feet in another direction, he would've landed on me and crushed me to death. On top of that, an inmate in my block was found with a shank just last night which is an item that has been sharpened for the purposes of stabbing someone. And now I've been the victim of a theft. And all of this has been because of Rob Riley's fun and games lawsuit that he's filed that has absolutely no basis in law or fact. My wife has been without a husband now for almost two months. I've been wrongfully incarcerated and we're going to hold Rob Riley, Liberty Duke, their attorneys and Judge Claud Neilson accountable. They all should be held criminally and civilly accountable." Below is a copy of a brief that the ACLU has filed on Shuler's behalf stating that these injunctions, civil contempt findings, imprisonment and incarceration are all unlawful in his case. This is Carol, Roger's wife. Since Roger's brutal beating and unlawful arrest on Oct 23, we have been very grateful for the many people who wanted to help us and who've offered to lend their support in a variety of ways in our ongoing fight for justice. Quite a few of those kind individuals have chosen to support this fight by way of the Legal Schnauzer PayPal donation button, which can be found in the upper right-hand corner of the blog. Fighting against the forces of evil and tyranny does not come cheaply, but the donations that have come to us via the blog's PayPal donation button have made that fight much more feasible. Hopefully, this will help enable the release of Roger Shuler from his unlawful incarceration and also defeat the powerful and obscenely corrupt thugs who orchestrated this entire travesty. Perhaps then, they will finally be held accountable for what they have done. To those of you who decide to click on the button and support us with your hard-earned funds, we say a hearty "thank you." 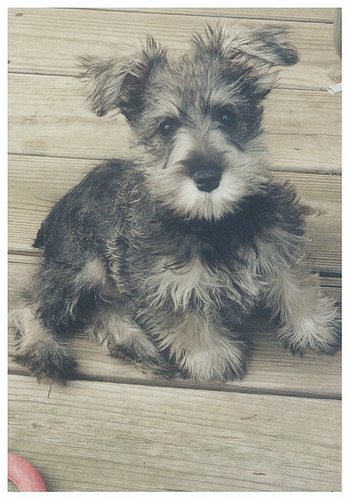 And we say that on behalf of Murphy Abigail Shuler (1993-2004), the beloved schnauzer to whom our work is dedicated. Please know that our mission statement remains the same: "The memory of a beloved pet inspires one couple's fight against injustice." This is Carol, Roger's wife. Over the past several days, we have written about some of the more interesting articles to appear in the media on the Legal Schnauzer first amendment case. One such article appeared in ThinkProgress. The story was written by Nicole Flatow and was featured on the website Oct. 30--one week after Roger Shuler's severe beating and false arrest. Per the ThinkProgress website, Nicole Flatow is the Deputy Editor of ThinkProgress Justice. Previously, she was Associate Director of Communications for the American Constitution Society. Nicole has also worked for several legal and general circulation newspapers, including The Daily Record and The New York Law Journal, and was a legal fellow at Bread for the City, where she represented low-income D.C. residents in housing and public benefits matters. She received her J.D. from the University of Virginia School of Law, and her B.A. in Philosophy, Politics and Law from Binghamton University, where she was editor in chief of her campus newspaper. The article was very good, however, there was one incorrect statement. And it has, unfortunately, been repeated in several articles about the first amendment case. "Riley sued Shuler and his wife, Carol Shuler, last year for alleged defamation." The above statement is simply not true and gives the mistaken impression that this harassment lawsuit had been ongoing for some time and thus, had been given a chance to be properly litigated. Nothing could be further from the truth. Actually, the bogus traffic stop where improper service was attempted took place on Sept 29, 2013. And then, Roger was beaten and unlawfully arrested inside our garage on Oct 23, 2013. That is far less than one month later. Hardly adequate time for any proper litigation of the facts and the law. Typically civil lawsuits are served and a person will have 30 days in which to respond and then the case proceeds from there in an orderly and legal fashion. In this case, Roger Shuler was assaulted and thrown in jail in a mere 3 weeks time. How about that for a railroad job and outrageous miscarriage of justice? This is Carol, Roger's wife. Over the past few days, we have written about some of the more interesting articles to appear in the media on the Legal Schnauzer first amendment case. Another excellent article was a dairy written by a person who goes by the name, "Colorado is the Shiznit" on the widely-read, progressive political blog, Daily Kos. The creative and highly entertaining post was featured on the website on Nov. 15 and made their daily highly recommended list. According to Wikipedia, Daily Kos is an American political blog that publishes news and opinions from a progressive point of view. It functions as a discussion forum and group blog for a variety of netroots activists whose efforts are primarily directed toward influencing and strengthening the Democratic Party. Former Kossack Arrested on Bullsh-t Charges. This is Carol, Roger's wife. Over the past couple days, we have written about some of the more interesting articles to appear in the media on the Legal Schnauzer first amendment case. Another excellent article was written by Sara Rafsky of the outstanding international organization, Committee to Protect Journalists. It appeared on their website's CPJ Blog on Nov. 13. According to their website, the "CPJ promotes press freedom worldwide and defends the rights of journalists to report the news without fear of reprisal. We take action wherever journalists are attacked, imprisoned, killed, kidnapped, threatened, censored, or harassed." Here is the link to the CPJ story by Sara Rafsky: Censorship in Alabama's Shelby County. Per the bio on the CPJ website, "Sara Rafsky is research associate in CPJ's Americas program. A freelance journalist in South America and Southeast Asia, she was awarded a 2008 Fulbright Grant to research photojournalism and the Colombian armed conflict." This article was very well done and I appreciate the hard work and effort that went into it. It is also important to note that it was featured in The Huffington Post on Nov. 14. Here is the link to Ms. Rafsky's story which appeared on the HuffPost Blog: Censorship at Issue in Alabama Blogger's Case. This is Carol, Roger's wife. As discussed yesterday, we are glad to report that media coverage of the Legal Schnauzer first amendment case continues to expand. Once again, one of the more interesting articles published recently appeared in the WhoWhatWhy website on Nov. 25. It was written by David J. Krajicek who paid Roger a visit in jail and did his first jailhouse interview. This article was very well done also. And again, I very much appreciate all the hard work and effort that went into it. "Shuler insisted he was not legally served because the documents were not placed in his hand." I have no clue how or why the above statement was even in the article because it has absolutely NO basis in fact and Roger NEVER said any such thing. It is utterly and completely false. To understand the truth about what happened during the bogus and unlawful "service" during the phony traffic stop and the pertinent law involved, please read the blog posts written by Roger Shuler himself on Legal Schnauzer. The LS blog posts concerning this unlawful traffic stop appear here, here and here. This is Carol, Roger's wife. We are pleased to report that media coverage of the Legal Schnauzer first amendment case continues to expand. One of the more interesting articles of late was featured on Nov. 11 in the WhoWhatWhy website and was written by David J. Krajicek. First off, I want to say that the article was very well done and I very much appreciate all the hard work and effort that went into writing it. However, there was one important statement that was so grossly incorrect that I simply must clear it up. "Carol Shuler said their inability to afford a lawyer was one factor in her husband’s avoidance of court paper service." "For the record, I never said or certainly never meant to imply that our inability to afford a lawyer was any factor in anything, much less avoidance of service. In fact we were not AVOIDING SERVICE at all. The fact of the matter is we had absolutely no clue why 2-3 sheriff's deputies were coming to our home twice a day for a week acting like we were on America's Most Wanted list. We had no way of knowing and in fact, did not know that it had anything to do with the serving of court papers in a civil case. As I said they were acting like they were trying to bust a meth lab or nab a serial killer. Scared us to death! We knew it was likely some trumped up bogus crap possibly to arrest one of us for some made-up charge or to ransack our home with a search warrant and maybe seize our computer for no legitimate reason purely for harassment and intimidation. So to be clear.... I never said we were avoiding anything. We simply did not answer the door to jackbooted thugs gone wild. If they had not acted so threatening and bizarre and there had only been one deputy and one vehicle...instead of 2 or 3... we quite likely would have answered the door. Also when it is civil service, they will typically leave a card on your door saying they have court papers for you. But they did not do that at any time. So again, it felt very threatening and intimidating and harassing and that was their intent to be sure."